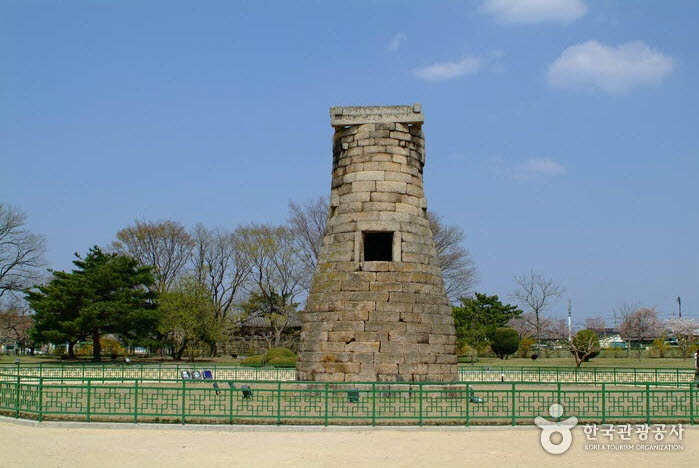 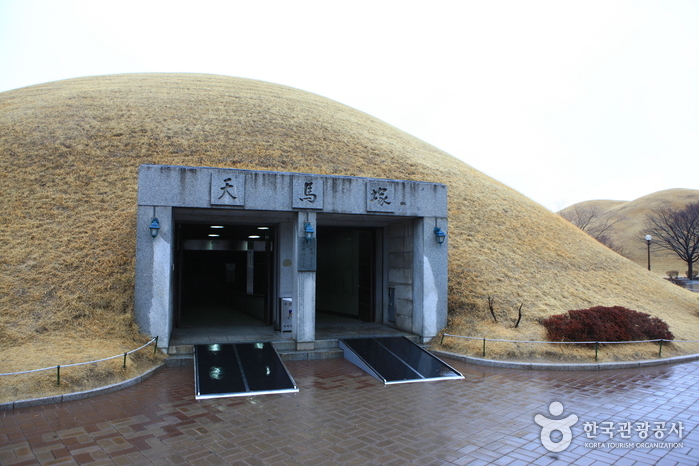 Within Daereungwon Tomb Complex is Cheonmachong Tomb (Ancient Tomb No. 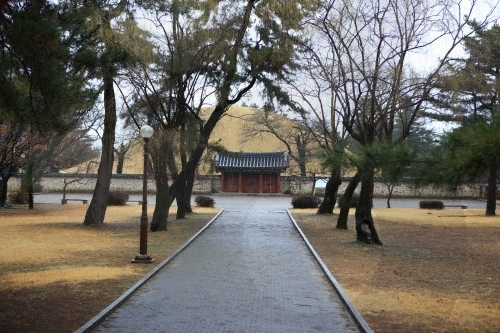 155), which was excavated in 1973. 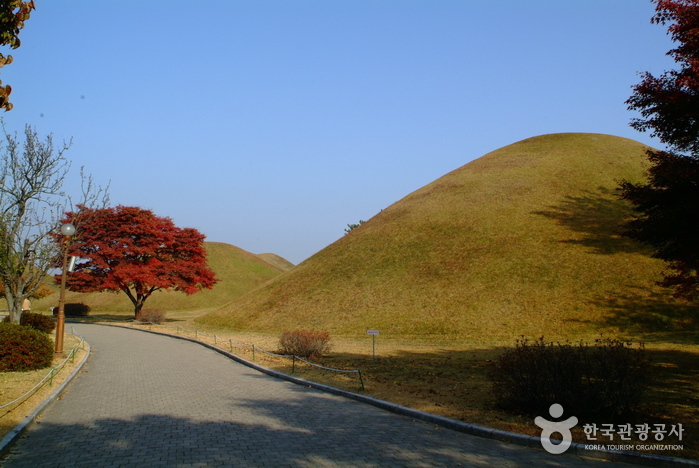 Cheonmachong Tomb consists of a wooden coffin placed inside an underground chamber mounded with boulders and earth, characterized as a typical upper class tomb of the Silla period. 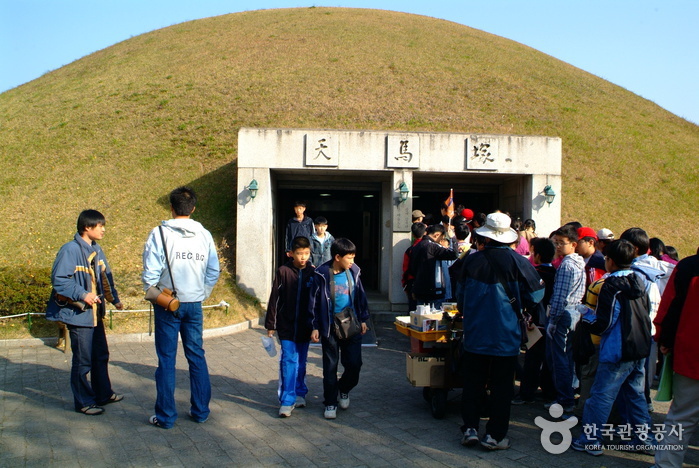 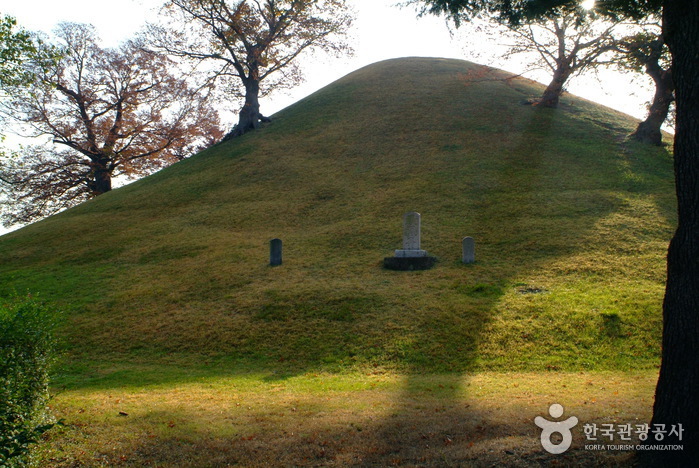 The mound has a height of 12.7 m with a diameter of 50 m, and consists of a layer of rocks collected from streams. 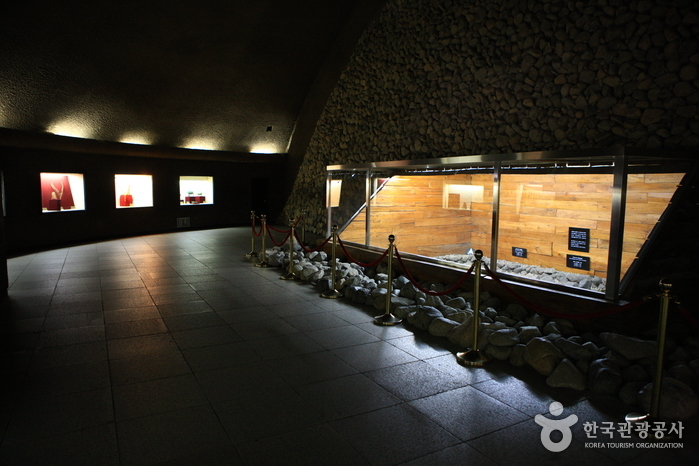 Below the rock layer is a wooden chamber with a length of 6.5 m and a width of 2.1, reaching 2.1 m in height, with the wooden coffin at its center. 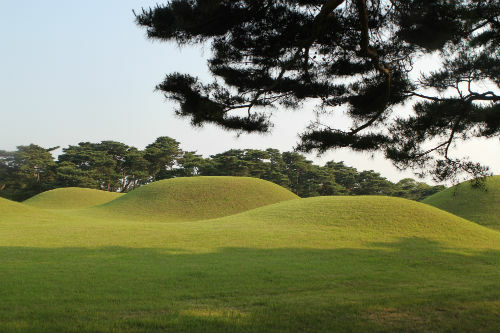 A total of 11,526 artifacts were discovered within the tomb, including Cheonmado, an artwork considered to be highly valuable as it is Korea's first artwork to be excavated from an ancient tomb. 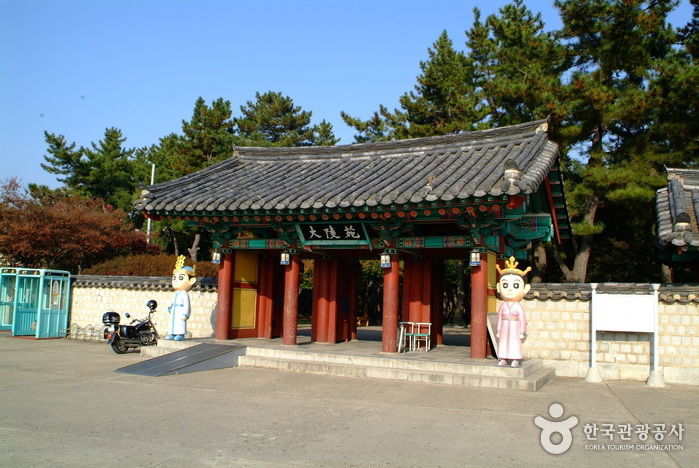 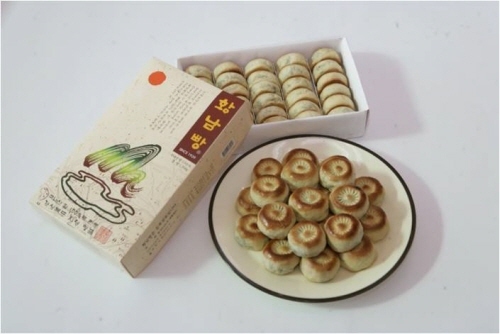 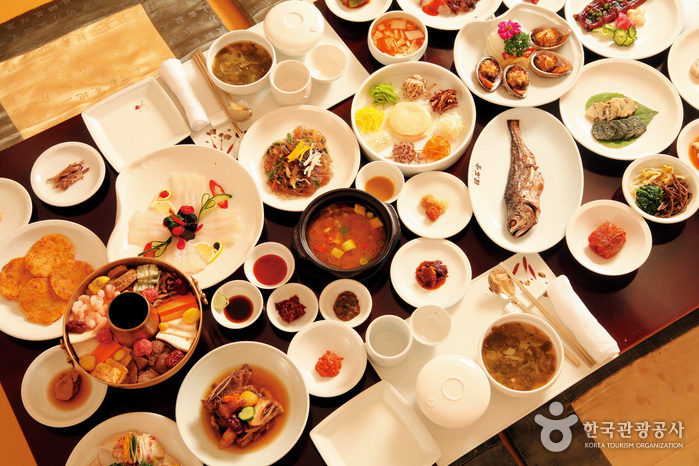 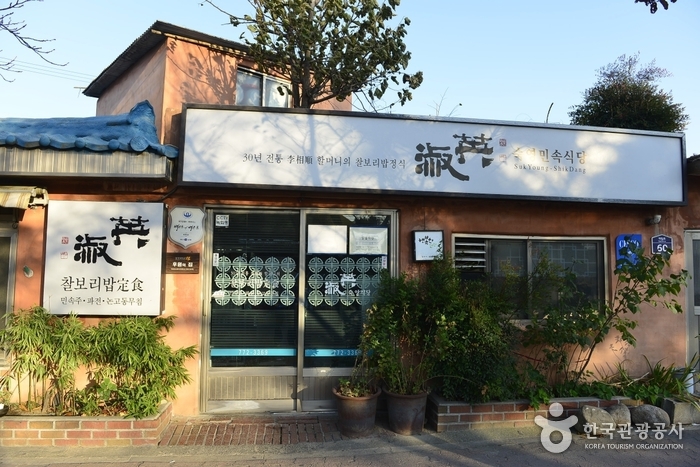 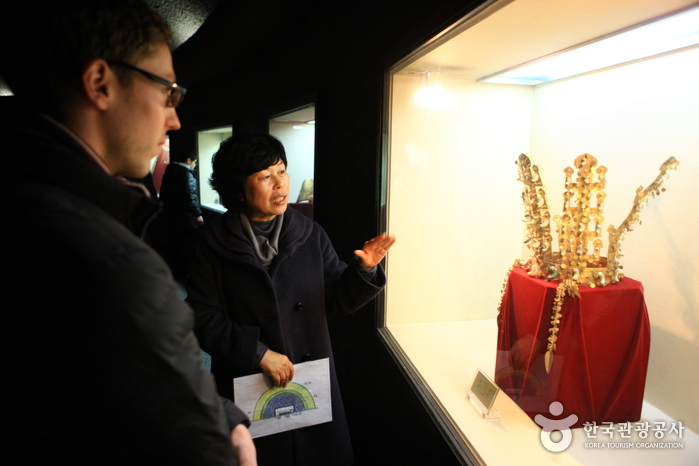 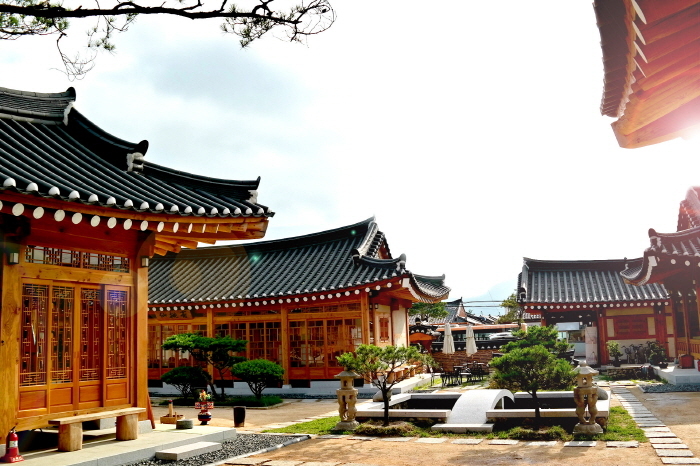 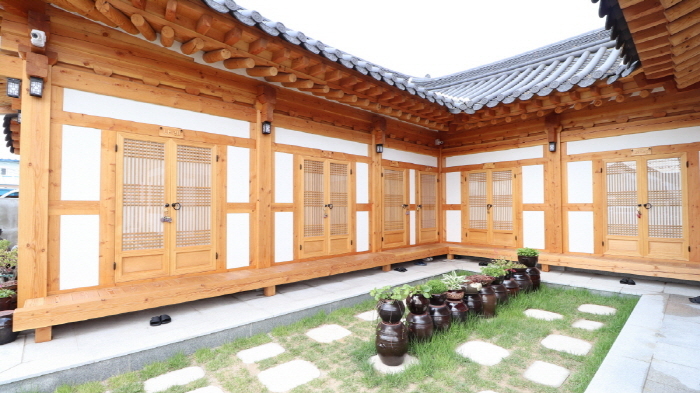 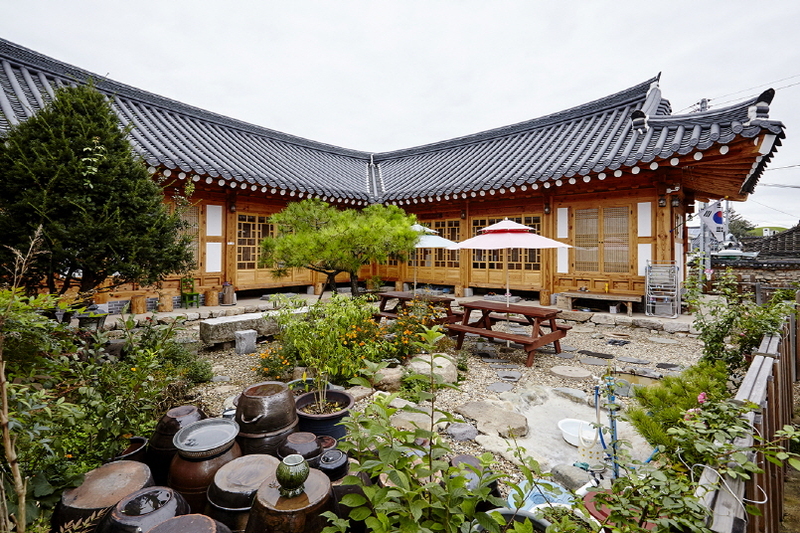 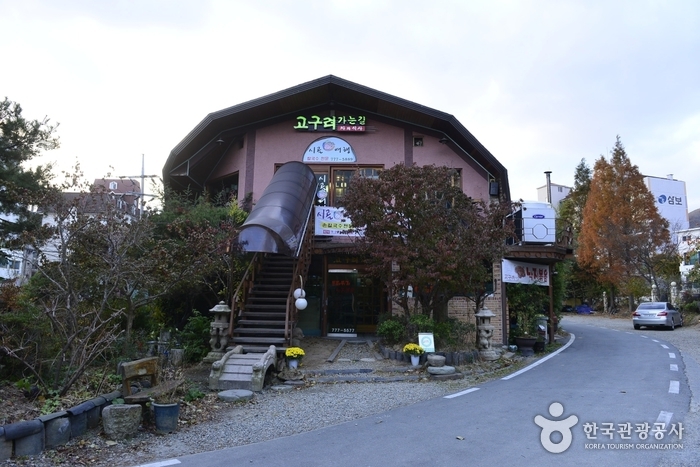 - The ticket is available at Daereungwon Ancient Tomb and at Donggung Palace and Wolji Pond (Anapji Pond). 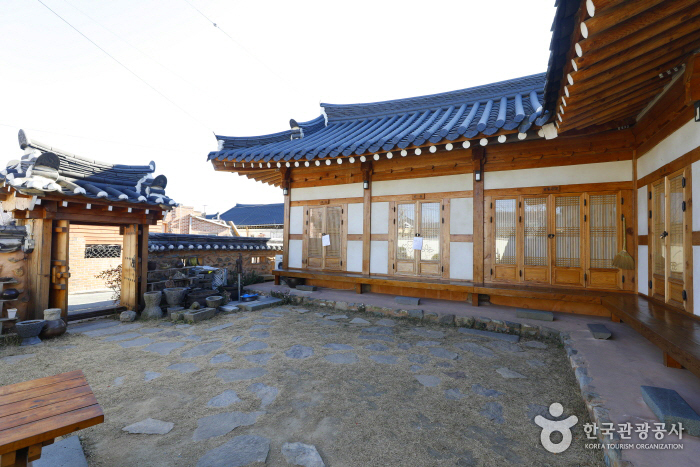 - The ticket remains valid for 3 days. 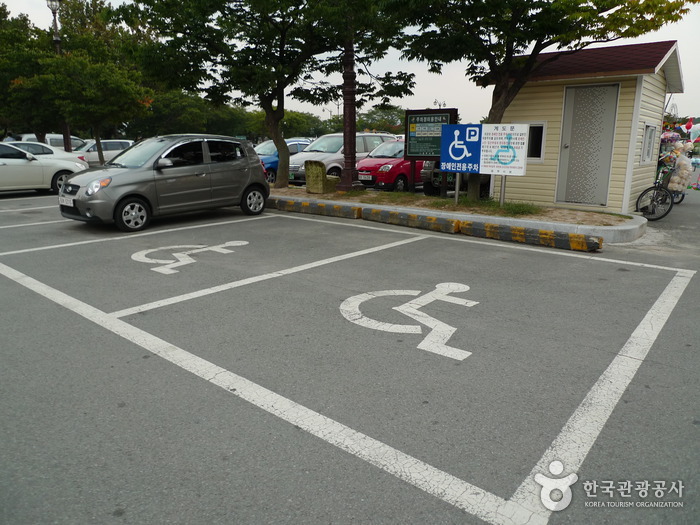 - One ticket can be issued regardless of the number of visitors. 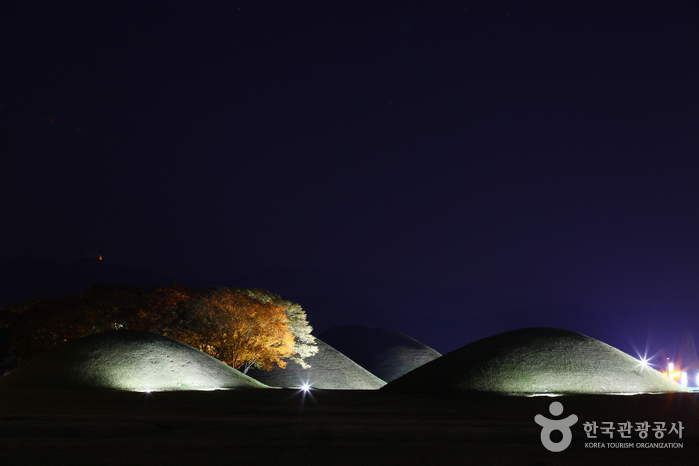 From Seoul Station, take a train to Gyeongju Station. 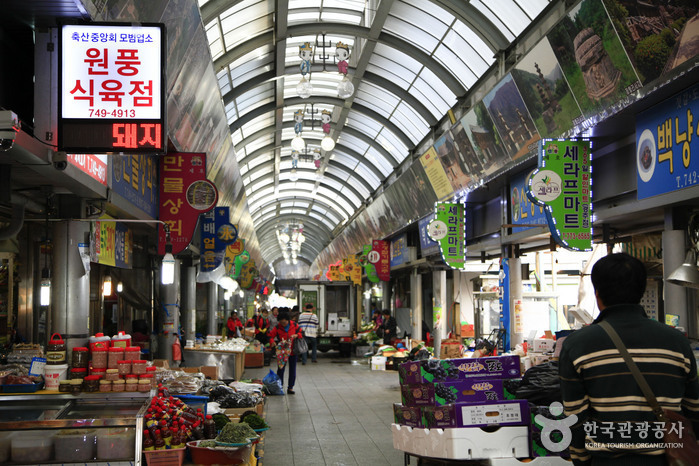 From Dong Seoul Bus Terminal, take an intercity bus bound for Gyeongju Intercity Bus Terminal. 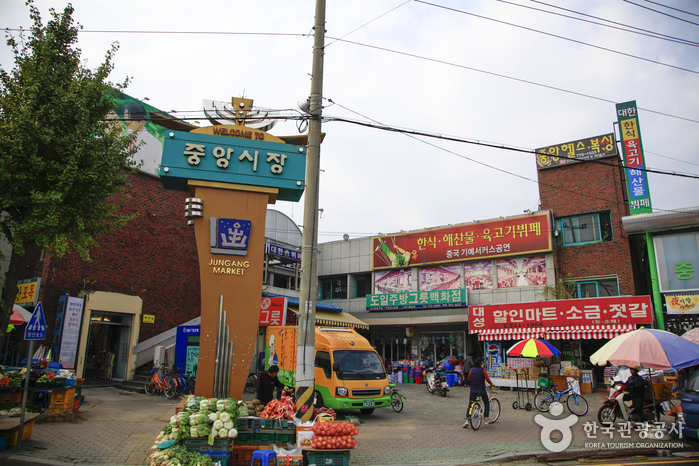 From Singyeongju Station, take Bus No. 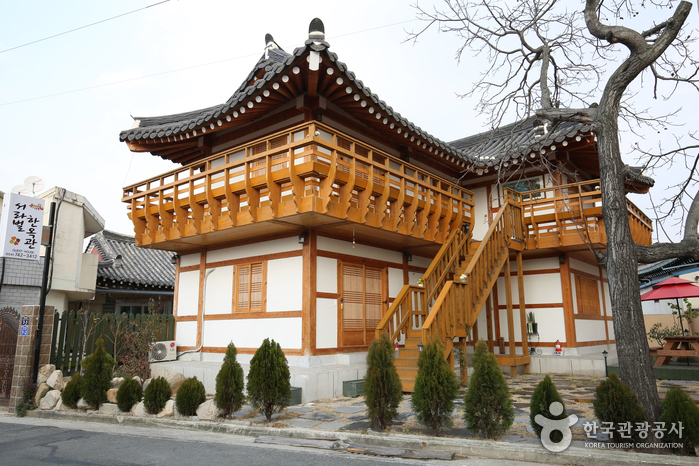 60, 61 or 700 and get off at Geumseong Sageori (4-way intersection) Bus Stop. 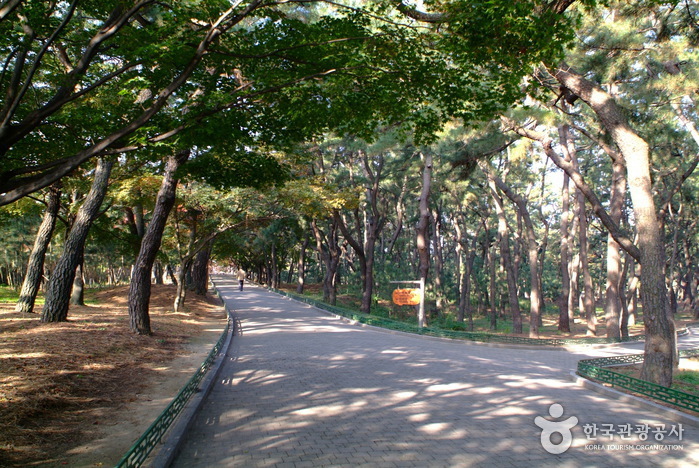 Walk back to the intersection and turn right. 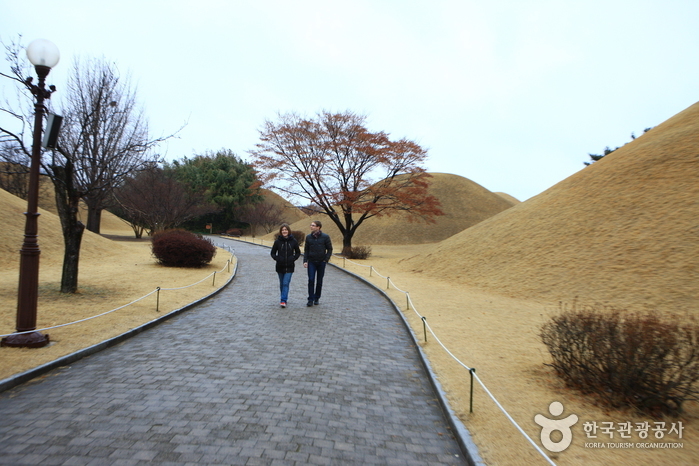 From Gyeongju Bus Terminal, walking away from the river, go straight 700m (about 12 min). 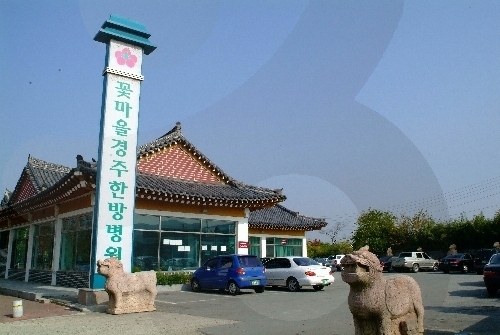 From Gyeongju Train Station, take bus No. 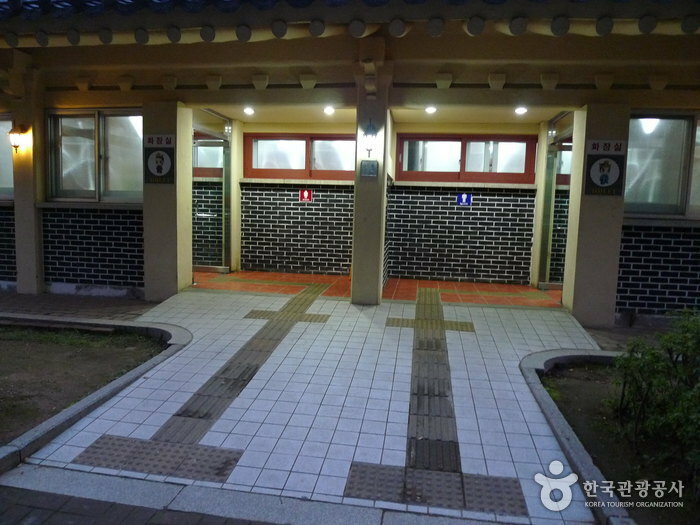 40 and get off at Cheonmachong Back Gate Bus Stop.